Yesterday, I posted a short article on How to prioritize IT projects. It’s a good overview, but there is more to take into consideration in prioritizing work. 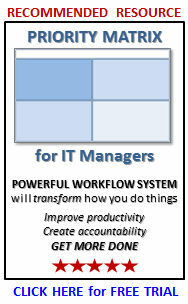 CLICK HERE to review my 20 Minute IT Manager session titled, Prioritize your work. Gain additional insight in 19 minutes about things you must consider as you determine the priority of what you work on in your IT organization. 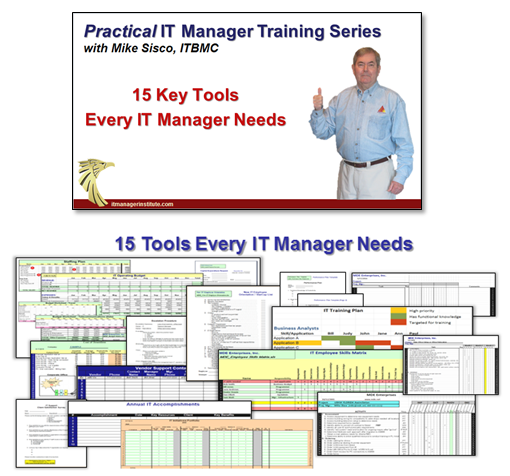 It took Tom Mochal and me over three years to develop this unique training program and it covers virtually every aspect of managing an IT organization. 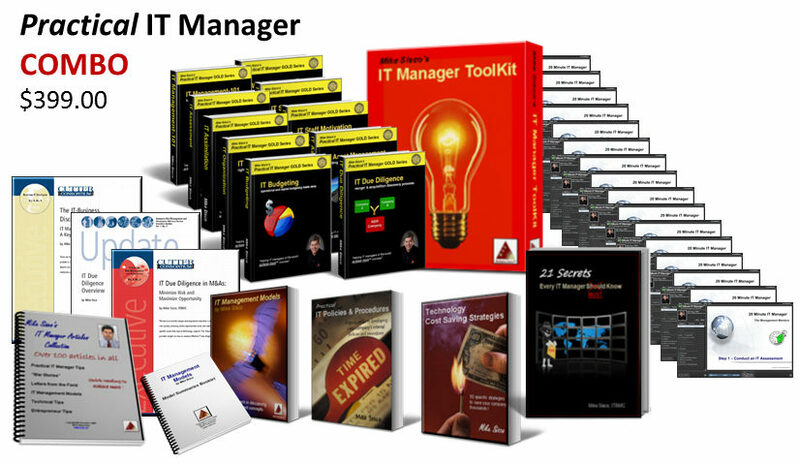 Most sessions include Tools for Success™ or templates you can download. This entry was posted in IT Manager Tools. Bookmark the permalink.